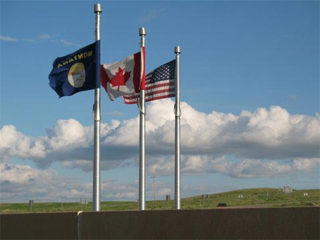 International Transportation To Canada - Judge Manning Horse Transportation Inc.
Judge Manning Horse Transportation, Inc. specializes in international shipping to and from Canada. We service most of the Canadian provinces from Nova Scotia and New Brunswick through Quebec and Ontario all the way to Alberta. With the help of today's latest technology and our superior knowledge of border crossing procedures, we make shipping your horses as fast and easy as possible. We are a bonded carrier that transmits our shipping documents to the border electronically prior to our truck's arrival in order to decrease our crossing time. U.S. Bureau of Customs & Border Protection utilizes barcode technology to expedite the release of U.S. bound shipments. We transmit our documents with a PAPS barcode, specific to your horse's entry, electronically prior to the trucks arrival at the border crossing. The driver carries documents with a matching barcode that the Customs Inspector scans and automatically retrieves the entry information. This reduces waiting time at the border. This is the Canadian version of above described PAPS barcode system. We transmit our documents electronically to the Canada Border Service Agency. 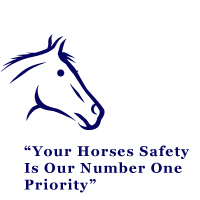 Judge Mannning Horse Transportation, Inc. is registered with the Canada Customs And Revenue Agency.